Mama, Dada, go, ball, and hi are all common first words you may hear your child say between 12-15 months old. Hearing your child say their first word is not only exciting, but helpful to be able to attend to your child’s wants and needs. Although each child develops language skills at different rates, delayed expressive language skills are usually first noticed by families. Expressive language is the ability to communicate thoughts through words, gestures, and/or facial expressions. Expressive language allows one to communicate their wants and needs, socialize with others and interact in their environment. In order for a child to begin expressing themselves with words, there are a number of prerequisite skills that need to be mastered. Exploration of the environment. Children should be constantly reacting to situations in their surroundings such as noises, lights, people, and activities. Reacting to others and new experiences are core features of communication. Strategies to try at home: Interact with your child in new ways to encourage exploration. Bang on pots and pans in the kitchen during meal prep, let your child ring the doorbell when walking in the house, or make a light show with flashlights. Be creative while incorporating music, sounds, visuals, and familiar faces! Acknowledges others during play. Communication involves at least two people, so learning how to interact with another person is a necessary component. Children should want to be around others and react to interactions initiated by others. Strategies to try at home: Get on the floor and play with your child! Initiate interactions by taking a turn on a puzzle, bumping your toy car into his, or stacking a block on his tower. Let your child acknowledge your interaction by imitating or responding in their own way. Continue to model interactive play with your child as often as possible. Adequate attention and joint attention. Child should be able to remain on a single toy or activity for at least five minutes. Joint attention is when a child is focused on the same item or activity as the communicator or parent. Strategies to try at home: To increase attention to asks, set a visual timer for two to three minutes on a chosen toy before they are able to pick a new activity. Instead of time increments, set a number of turns before moving to a new activity such as three puzzle pieces, three car races, or three items on Mr. Potato Head. In order to improve joint attention, be sure to sit at your child’s level and in their line of vision.Show your child that you are interacting with the same object by pointing, naming, and interacting with the same toy. Demonstrates age-appropriate play skills. Language skills are most often learned through play in early development. Learning opportunities are frequent during pretend play, and while using interactive toys and early concept toys such as animals and play food. Playing with toys appropriately is required in order to use play to learn language. This may look like a child racing a car, pretending to stir a pot, or placing blocks on top of each other. Strategies to try at home: Play with toys that require the child to interact, instead of watching it do something (i.e. light-up toys, ipads). Examples of good toys include puzzles, blocks, dolls, play kitchen and animal figurines. Model appropriate play with toys and encourage your child to imitate. Understands words and commands. In order to use language to communicate, a child must understand language. This includes following simple requests such as “throw the ball” or “bring me book”, identifying pictures in books, or grabbing a named object in a group of three or more. Strategies to try at home: If your child has difficulty following directions, give a verbal command first and then model the action. During routine activities such as getting dressed, brushing teeth, or leaving the house, give specific and consistent commands such as “put on your coat” or “open the door”. Begins to imitate sounds, gestures, or facial expressions. Mimicking gestures teaches the concept of learning language through imitation without the pressure to use words. A child should learn to copy funny faces, clapping, waving, high-fiving, and other common gestures before being expected to imitate words. Strategies to try at home: Sing nursery rhymes and do the gestures along with it such as Itsy Bitsy Spider, The Wheels on the Bus, and Pat-a-Cake. For facial expression, sit in front of the mirror and make funny faces such as sticking out your tongue. During social activities, encourage your child to wave to people they see and high-five family and friends. Communicates wants and needs with gestures and/or pointing. Children will often learn to point to request objects before using words. Finding ways to express wants and needs by pointing, grabbing, or leading, is a way of nonverbal communication. 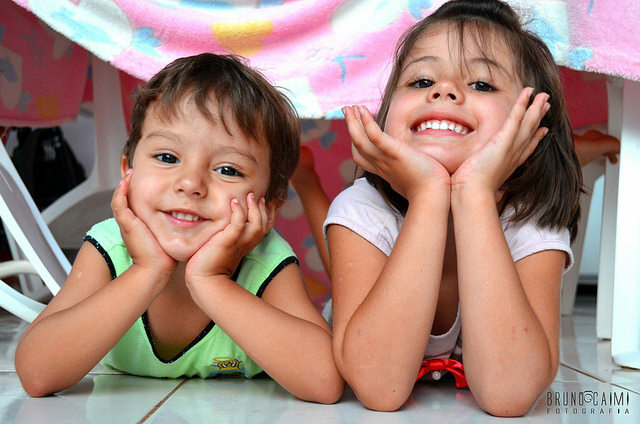 Strategies to try at home: If your child is wanting food or a toy, hold up two options and give the prompt, “what do you want?” Encourage your child to point by modeling the gesture. Teaching baby signs is a great way to facilitate non-verbal language as well. Start with teaching the signs for more, all done, and eat. Once your child has developed the prerequisite skills for language develop, they will start to babble, imitate sounds, and use words for communicative purposes. The typical milestones for language develop are listed below. If your child is a late-talking, the months will vary but the hierarchy of skills will be relatively similar. After your child starts saying words, you may feel the progress of new vocabulary is slow. Modeling language, creating opportunities, and setting expectations are important to grow your child’s expressive language vocabulary. Below are a list of strategies to implement at home to improve your child’s use of words. Narrate everything. During play, routines, and daily activities, narrate what you and your child are doing. Use simple, concrete nouns (dog, milk, cookie) and common verbs (go, eat, drink) in short phrases. If your child speaks in one word sentences, use two to three word sentences when narrating. What does it look like? When getting dressed, mom says “Grace zips coat”. During mealtimes, dad says “I cut apple”. Create language opportunities. Provide opportunities by holding toys back during play to encourage your child to request more of activities or specific items. What does it looks like? Play with toys that have multiple parts such as legos, puzzles, blocks, sorting cube, and piggy bank. Parent holds the toy parts and hands each part after your child requests items with a word. If your child does not imitate word after two attempts, provide the toy so he or she does not become frustrated. Wait. Parents know what their child wants without them having to verbally request with a word. Instead of automatically putting your child’s coat on or giving him the preferred toy, allow a period of wait time. Silently look at what your child wants, and wait for your child to request item. If your child does not say the item, give him a verbal model. If your child still doesn’t say the word after giving a prompt, give the item to your child. Give choices. Providing two options to children forces them to communicate the object/activity they prefer. During meal times, hold up a preferred food (goldfish) and non-preferred food (carrot) then ask your child which one they want. During play time, hold up two toys such as puzzle or ball. Make it fun. Most importantly, make language development fun! The best way to do this is play with your child at their level. Teach them unique ways to play with your toys by making forts, pretend play, or setting up a picnic for all the stuffed animals. Children learn by imitating caregivers so continue to model phrases, play, and interaction with others. Every child develops language at their own pace, but if you feel your child is significantly behind based on the typical milestone chart provided contact Lumiere Children’s Therapy for a language evaluation from one of our speech therapists. ChildTalk. “Child Talk.” How Many Words Should My Child Be Saying? A Quick Guide To Vocabulary Development, 1 Jan. 1970, www.talkingkids.org/2013/01/using-self-talk-and-parallel-talk-to.html. Laura. “CHART 11 Skills Toddlers Master Before Words Emerge from Let's Talk About Talking.” Teachmetotalk.com, 28 May 2018, teachmetotalk.com/2018/04/18/chart-11-skills-toddlers-master-before-words-emerge-from-lets-talk-about-talking/. Mattingly, Rhonda. “Typical Development .” Early Language Development . Early Language Development , 2016, Louisville, University of Louisville . Mize, Laura. “11 Skils Toddlers Master Before Words Emerge.” Teach Me to Talk , Laura Mize, M.S., CCC-SLP, teachmetotalk.com/wp-content/uploads/2017/11/CHART-of-11-Skills-Toddlers-Master-Before-Words-Emerge-from-Laura-Mize-and-teachmetotalk.com_.pdf. Rossetti, Louis. Rossetti Infant-Toddler Language Scale a Measure of Communication and Interaction. Pro-Ed, Distributor, 2006. “The Effectiveness of Language Facilitation.” Leader Live - Happening Now in the Speech-Language-Hearing World, 29 May 2015, blog.asha.org/2014/05/22/the-effectiveness-of-language-facilitation/. Hearing your child’s voice for the first time is an exciting, monumental part of parenthood. As the first babbles turn into words, and eventually sentences, your child’s expressive language is developing. Receptive language is the ability to understand language, as expressive language is the ability to use words, sentences, gestures, and writing to communicate with others. What is expressive language and why is it important? Expressive language allows a person to communicate wants, needs, thoughts and opinions. Expressive language is the ability to request objects, make choices, ask questions, answer, and describe events. Speaking, gesturing (waving, pointing), writing (texting, emailing), facial expressions (crying, smiling), and vocalizations (crying, yelling) are all variations of expressive language. Children with poor expressive language skills may become frustrated when they cannot communicate their wants and needs. Temper tantrums may occur when they feel tired, sick or hungry and cannot express their current needs. How do expressive language skills develop? Expressive language is developed within the first few days after birth. Babies learn to communicate when they are hungry, uncomfortable or tired through crying and facial expressions. They learn to laugh when they are enjoying an interaction with a parent or caregiver, and smile when they are happy. These are all forms of communication. In order for expressive language skills to develop, a child also needs to have strong receptive language, attention, play, social pragmatics and motivation. Receptive language skills is the comprehension of language which is an underlying skill to label objects, answer questions appropriately, and use language in the intended way. Adequate attention skills is an underlying skill for all developmental tasks. The ability to sustain attention is important in order to finish one’s thought and effectively communicate to others. Play skills encourage children to explore their surroundings. Play can be an intrinsic motivator for young children to communicate by requesting, interacting, and labeling toys. Pragmatic skills is the way language is used day to day in social situations. Adequate pragmatic skills allows a person to participate in conversation appropriately. The following, outlines expressive language milestones from birth to 7 years old in three categories: birth, preschool, and school age. Learn about the typical developmental stages as well as activities to try at home. Talk to your child. When your child is developing language, they learn through role models. Talk to your child about your day, what you are doing, and what they can see. It may feel strange at first to talk to your baby without them responding, but the more you talk, the more they learn. Read. It is never too early to start reading books to your child. Point out familiar pictures in the books. If you are reading about animals, make the animal sounds associated with each animal. Imitate. Imitate all sounds, gestures, and facial expressions your child makes. Repeat a noise they make, and wait for a response. Encouraging imitation can help your child participate in social turn-taking and start to imitate your words. Books. Reading books is a great opportunity to expose your child to a wide variety of vocabulary. Books to encourage early development of common vocabulary include First 100 words , Where is Baby’s Belly Button, Brown Bear, Brown Bear, What Do You See? , and Dear Zoo. Puzzles. Encourage “requesting” while playing with puzzles by holding out two puzzle pieces and having your child name the piece they want. Your child should be able to name objects consistently and model two-word phrases such as “want __” or “give ___”. Pets Peg puzzle, Farm Wooden Chunky Puzzle, and Vehicle puzzle are great puzzles to encourage early concepts. Games. Simple turn-taking games help children learn how to wait and take turns which is a necessary skill in conversations. Fun toddler games include Let’s Go Fishin’, Seek-a-boo, and Hi Ho Cherry-O. Expand sentences. Imitate your child’s speech and add on extra words to make it grammatically correct. For instance, if you child says “more juice”, you can repeat “I want more juice”. Yes/no game. Make a game out of yes/no questions by asking your child funny questions such as “Is your name Bob?”, “Can you eat dirt?”, “Do you like ice cream?” Then have your child make up silly questions to try to trick you! I-spy. Describe common objects around the house by giving descriptive clues such as what it looks like, what you do with it, where you would find it, etc. Have your child guess what you are talking about! Include objects out of sight to encourage your child to determine objects on their own, and then have them go on a scavenger hunt to find it. Make up stories. Build a blanket fort, grab a flashlight, and create fairy tale stories. Toys may be used as prompts to help make up a story. Incorporate each part of a story including setting, characters, beginning, middle, and end. Category games. Name 5, Scattergories, and Hedbanz are fun and engaging games to work on naming categories. Simon says. Play a game of simon says using prepositions. For instance, Simon says put the book on the table. Once your child is familiar with the game, have them be Simon and give directions using prepositions. Read rhyming books. Dr. Seuss books are great to teach rhyming. Read a page and have your child identify the words that rhyme. Movies. After watching a movie, have your child summarize the plot. Guide your child by breaking it up into beginning, middle, and end. If you feel your child is developmentally delayed in his or her expressive language skills, contact Lumiere Children’s Therapy for a speech-language evaluation. Our speech therapists can formally assess your child’s expressive language skills, create age-appropriate goals, and develop a therapeutic program unique to your child’s needs. “Baby Talk: Communicating With Your Baby.” WebMD, WebMD, www.webmd.com/parenting/baby/baby-talk#2. “How to Support Your Child's Communication Skills.” ZERO TO THREE, www.zerotothree.org/resources/302-how-to-support-your-child-s-communication-skills. Mattingly, R. (2018, September 13). Typical Development. Lecture presented in University of Louisville, Louisville. Zimmerman, Irla Lee., et al. PLS-5 Preschool Language Scales: Fifth Edition. NCS Pearson, 2011. Last week on the blog, we discussed the benefits of social stories for children with autism and/or language disorders. Social stories, developed by Carol Gray, provide an easy to follow visual for appropriate behavior and conversation during social situations. They can be used for a variety of purposes including transitions, inappropriate behavior, social interactions, and new experiences. · Intent of message: What is the main idea or point of the story? The intent may be for self-regulation, self-esteem, social skills, or productive behavior. Instead of explaining what a child should not do, create positive messages to encourage appropriate behaviors. For instance, instead of saying “do not hit when upset”,reword to a more positive behavior, such as: “we use our words when we are upset”. · Complexity of language: Using simple, direct language, increases comprehension and implementation of the message. Choose age-appropriate vocabulary that the child understands. · Step-by-step: Social stories are effective because they take the guesswork out of a social situation. Be sure to include each mundane step so children can effectively implement the message without having to make their own inferences. o Descriptive sentences: Explain what people do in a certain social situation from a third person perspective. “It is not polite to stand too close to people. It is polite to respect others’ personal space”. o Directive sentences: Positively elicit a specific response or behavior. “When I talk to other people, I need to step back and give them some space”. o Perspective sentences: Explain another person’s feelings or opinions in a social situation. “My friend feels uncomfortable when I stand too close. She is happy if I give her space”. o The control sentence: Is the message intent of the story. The child constructs the sentence to help them recall the targeted skills. “I remember to keep an arms’ length between my friend and I when we talk”. How to use social stories? Create an easy to access plan for the social story. Would it be best to keep on the desk, near the door, or in their folder? Next, determine who will be the facilitators of the social story. For non-readers, a caregiver can read the story out loud, record on a device, or program the story into an assistive device and/or ipad. For readers, the teacher or caregiver may be able to simply reference the story by pointing and bringing attention to it during specific situations. As mentioned in last week’s post, social stories are only one component of therapy. For the story to be successful, the child must practice the desired skill in appropriate situations with the help of parents, caregivers, and/or therapists. As the child practices and uses the skills more often, the story is slowly faded out. Eventually the skill will be engraved in long-term memory, and the visual of the social story is no longer necessary. To learn how to make your own template, Autism Speaksoutlines the steps using Microsoft PowerPoint here. Below are some free, pre-made stories to try out! Check out more on ABA Education Resources. Cosgrave, Gavin. “Social Stories.” Token Economy - Educate Autism, www.educateautism.com/social-stories.html. “Social Stories for Autism, ADHD and PDD-NOS.” Epidemic Answers, 17 Apr. 2014, epidemicanswers.org/social-stories-for-autism-adhd-pddnos/. “Social Stories.” PBIS World RSS, www.pbisworld.com/tier-2/social-stories/. “Social Stories.” Social Stories : ABA Resources, www.abaresources.com/social-stories/. Temper tantrums during transitions? Hitting during recess? Inappropriate topics during conversation? Social stories provide an educational visual to address specific social situations. Verbal explanation of social interactions may be difficult for children to fully comprehend, so visuals can provide additional information. Social stories were first introduced and described by Carol Gray as an intervention strategy to teach appropriate social interactions through the elements of a simple story. Social stories outline social concepts and skills in an easy step-by-step manner. They were originally developed for children with autism, but can be beneficial for any child with pragmatic and language disorders. Social stories can be a proactive or reactive strategy. Implementing social stories as a proactive measure involves presenting the story before an upcoming social event or situation. If a child is going on a fieldtrip, a social story can outline the new schedule for the day in order to prepare the child for the change in routine. For upcoming play dates, it can give examples on polite ways to share toys. They may also be used for reactive measures, specifically for negative behaviors. For instance, if a child is hitting other kids on the playground, a social story can explain why this behavior is not appropriate while offering new, positive behaviors. They should not be the only source of intervention, especially for negative behaviors. Social stories can provided the child with positive alternatives for negative behaviors in a direct, simple fashion. After the child has been presented with the information, speech-language pathologists, teachers, and/or caregivers can help the child develop the appropriate behavior skills. Why do social stories work? Theory of mindis the ability to understand another person’s feelings, perspective, and beliefs. Children with autism often struggle with understanding theory of mind. They can only see their perspective of the story. Consider a child grabbing a toy out of another person’s hand. The child wanted that toy and decided to take it. For a child with autism, that may be the only perspective they understand. It may be challenging to realize that the classmate was sad when the toy was taken away. Lacking theory of mind creates problems in social situations and can make social society rules seem confusing and difficult. Social stories allow children the opportunity to learn about the other person’s perspective. The stories will outline how the other child feels and why it was hurtful. It takes the guesswork out of social situations and provides strategies or skills to implement in a given situation. When should you use social stories? Social stories can be implemented in a variety of opportunities. Below are a few examples. Social stories are intended for specific situations and events in the child’s life. Create or implement social stories that are relevant and meaningful in the child’s everyday activities. Next week on the blog, we will discuss how to create a social story. In the meantime, explore these, here. These may sound like common phrases in your household. Such commands require children to interpret the meaning and follow the verbal directions accurately, which may present as a challenge for some children. Following directions is a skill required in school, at home, and during everyday activities. Below, we’ve listed some milestones in relation to age when it comes to developing the skills for following directions. Next week on the blog, we will provide fun games and activities to practice following directions! “How To Get A Child Following Directions.” Speech And Language Kids, 18 Apr. 2017, www.speechandlanguagekids.com/how-to-get-your-child-to-follow-directions/. Katie. “Five Playful Ways to Work on Listening and Following Directions.” Playing With Words 365, 19 Feb. 2018, www.playingwithwords365.com/five-playful-ways-to-work-on-listening-skills/. Klarowska, Beata. “Speech and Language Development (Milestones).” Virtual Speech Center, Virtual Speech Center, Inc, 25 July 2011, www.virtualspeechcenter.com/blog/37/speech-and-language-development-milestones. 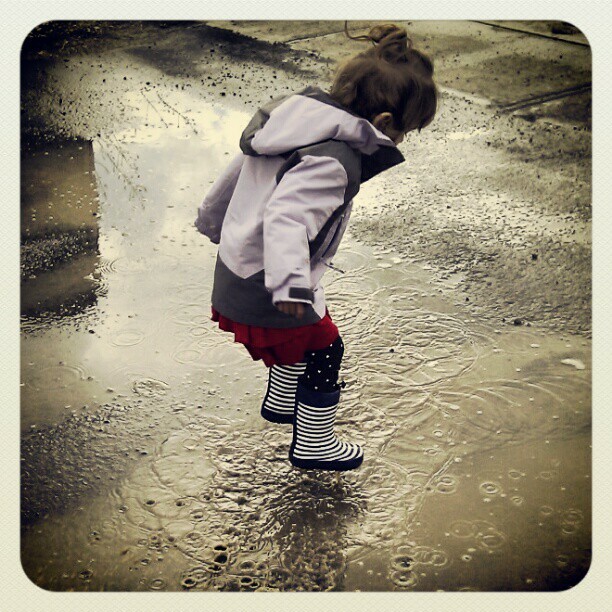 Jumping feet first into muddy puddles as water splashed onto our rain boots is a fond childhood memory many of us experienced. Even though jumping in puddles creates a dirty, wet mess for many parents, jumping is an important gross motor milestone for children. Toddlers first learn how to jump off low surfaces such as the last step or curb around 24 months. Between 26- 36 months, children will gain the strength and confidence to jump up from a leveled surface, the ground. Jumping requires balance, coordination, strength, and courage. The first step to learning to jump is exploration of balance. 2-year-olds may begin by shifting their weight back and forth to experience the sensation of one foot in the air. Each child learns to jump differently as they explore one’s body weight and balance. Some may jump with both feet on first jump, and others mays jump with one foot in front of the other. Most children learn to jump through exploration, but for children that seem reluctant or uninterested, here are some tips to encourage their first jump! Make jumping look fun and adventurous by squatting really low and jumping off the ground. Model jumping over a toy, jumping to touch the ceiling, or jumping on a trampoline. Your child will begin to show more interest after watching family members model the skill. The first step to learning to jump is bending your knees low to the ground and standing back up. Squats not only mimic the movement of jumping, but they provide strengthening of the necessary muscles. The next step to learning to jump is squatting low and hopping off the ground. This version is slightly easier than jumping from standing tall, and provides more visuals. Pretend to be frogs jumping from one lily pad to the next! Make it more fun by dressing in green and shouting “ribbit ribbit”. Holding your child’s hand as they jump off a small step or sidewalk curb can provide a steady support. Jumping off of a higher ground requires less strength and skills but allows the child to explore jumping. Provide targets such as neon tape around and encourage your child to jump from spot to spot. Draw a line with a chalk on the sidewalk for your child to jump over or draw a full hopscotch board! As with any new skill, give your child positive accolades along the way. “Wow, look at you bend your knees” or “Look how high you jump” can go a long way! Clear an open space in the house or spend time outdoors for your child to explore gross motor activities without fear of hurting oneself. Read more about physical milestones in our post Gross Motor Development.If you feel your child is behind in gross motor development, contact Lumiere Children’s Therapyfor an evaluation. Drobnjak, Lauren. “CHILD DEVELOPMENT QUICK TIP: LEARNING HOW TO JUMP.” The Inspired Treehouse, 24 Sept. 2014, theinspiredtreehouse.com/child-development-quick-tip-learning-how-to-jump/. WhattoExpect. “Running, Climbing, Jumping and Kicking.” Whattoexpect, WhattoExpect, 21 Oct. 2014, www.whattoexpect.com/toddler/run-jump/. Prepositions are words that provide information on how objects are related to the rest of the sentence. “The candy is in the bowl,” explains where the candy is in relation to the bowl. Common prepositions include in, on, next to, in front of, close to, and beside. Between the ages of 24-36 months, grammar becomes more precise in a child’s vocabulary. The first prepositions comprehended arein, on,andunder. By 40 months, children understand the prepositional phrase next to,and at 4 years old, children understand behind, in back of,and in front of. Below are some games and activities to help your children learn prepositions. While playing with your children, model grammatically correct sentences. For example, while playing with an animal farm model, “Look, the cow is inthe barn” or “the cow is besidethe horse”. Play a fun game of Simon Says at your local playground. Use phrases such as “Simon says, go underthe slide”, or “Simon says, swing besidethe tree”. Simon says at the playground will keep your kids active while learning prepositions! Create an Easter egg hunt around the house with your leftover plastic eggs! Every time your child sees an egg, encourage them to use a prepositional phrase, such as “the egg is under the couch” before opening. Hide a toy somewhere in the house. Provide clever clues using prepositions to find the hidden object. For older children, make it more challenging by having your children hide the toy and give you clues using prepositional phrases. Tape prepositions cards onto each side of a dice. Take turns rolling the dice, and demonstrating the preposition with a favorite toy and a chair, doll house, or box. If the dice lands on under, place the toy under the chair. Prepositions are the start of our grammar series! Check next week for activities targeting verbs. “Best Children's Books for * Teaching Prepositions *.” Children's Books for Teaching Prepositions,www.the-best-childrens-books.org/teachingprepositions.html. Cooper, Jennifer. “Playing with Prepositions.” PBS, Public Broadcasting Service, 3 Nov. 2015, www.pbs.org/parents/adventures-in-learning/2015/11/playing-prepositions/. “Parent Narrative.” Handbook of Language and Literacy Development - a Roadmap from 0 to 60 Months, www.theroadmap.ualberta.ca/understandings/parents/37-60. “Speech and Language Milestones.” About Kids Health , www.aboutkidshealth.ca/En/HealthAZ/LearningandEducation/LiteracyandNumeracy/Pages/speech-language-milestones.aspx. Does your child’s voice sound raspy, hoarse, strained, and/or frequent pitch breaks when he or she talks or sings? These are signs and symptoms of a common voice disorder, vocal cord nodules. Nodules are noncancerous growths that form on the vocal cords or the source for voicing. Nodules affect both children and adult, and are the most common voice disorder among children. What causes vocal cord nodules? Nodules are developed due to vocal abuse over a period of time. Vocal abuse refers to behaviors that harm the vocal cords such as yelling, frequent coughing, crying, dehydration, or excessive singing. 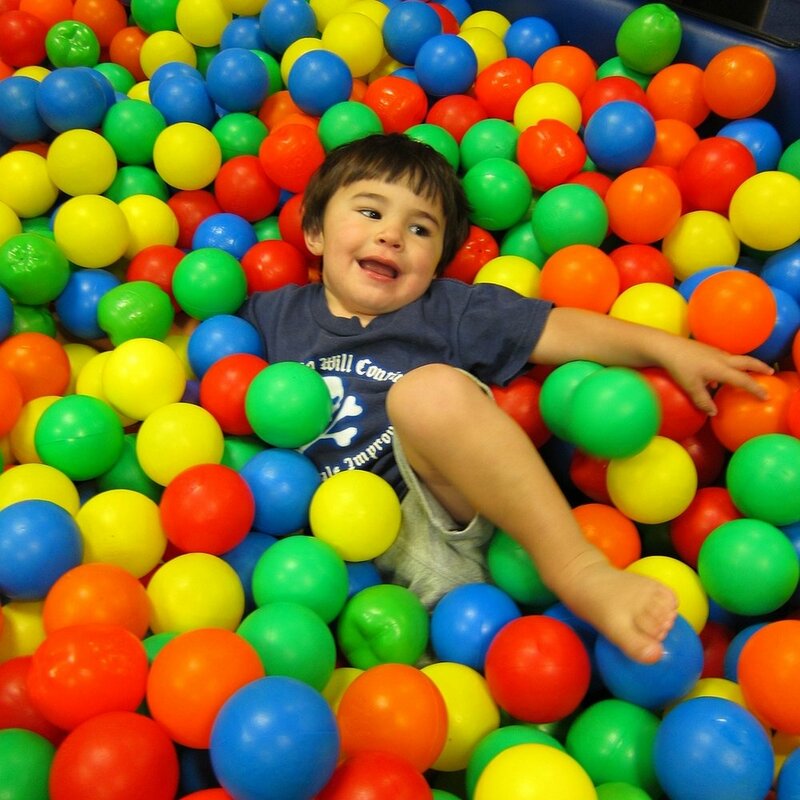 Children often develop nodules due to screaming during playtime, sports, or recess. What is the treatment of vocal cord nodules? Treatment involves vocal hygiene to heal the voice, and voice therapy to decrease vocal abuse and sustain healthy voicing. o Voice rest. Taking a break from excessive talking, yelling, screaming, and singing may be necessary for up to 2 weeks post diagnosis. o Increase water intake and avoid caffeine. o Maintain healthy diet. Hydration can be obtained through a healthy diet consisting of fruits and vegetables. o Eliminate frequent throat clearing or coughing. Throat clearing can become habitual, so breaking the habit may be difficult. Develop a plan by taking a sip of water every time they feel like coughing. o Avoid whispering. Whispering puts extra strain on the vocal cords and may dry them out. Model appropriate volume level and encourage children to use their “indoor voice”. o Minimize screaming. 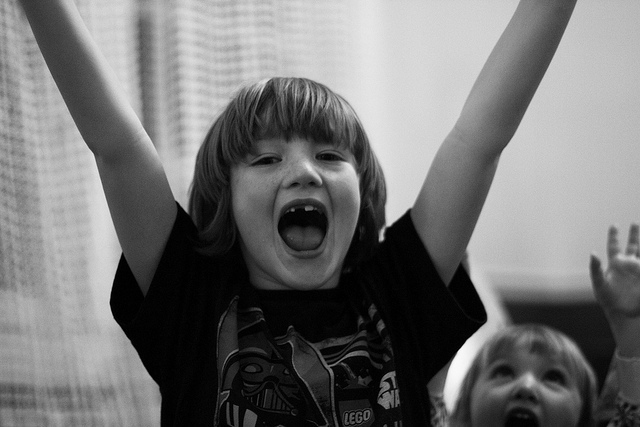 Develop new ways to express feelings of excitement or anger during sporting events, playtime, etc. Encourage your children to clap their hands when they score a touchdown instead of screaming with excitement. o Role model. Children learn through imitation so be a role model for your children by implementing these strategies into your own life. · Voice therapy may be appropriate for children with chronic voice abuse. Voice therapy is a specific aspect of speech-language therapy conducted by a speech-language pathologist. Voice therapy focuses on eliminating vocal abuse by using an easy, relaxed voice. Voice therapy works on maintaining good vocal hygiene and sustaining an easy, relaxed voice in all settings and situations. With vocal hygiene, vocal rest, and voice therapy, vocal nodules will eventually heal and voice problems will resolve. Surgery is not recommended for children until first implementing vocal hygiene and voice therapy. For professional voice users such as singers and actors, surgery may be warranted. Philadelphia, The Children's Hospital of. “Vocal Cord Nodules.” The Children's Hospital of Philadelphia, The Children's Hospital of Philadelphia, 15 Mar. 2016, www.chop.edu/conditions-diseases/vocal-cord-nodules.